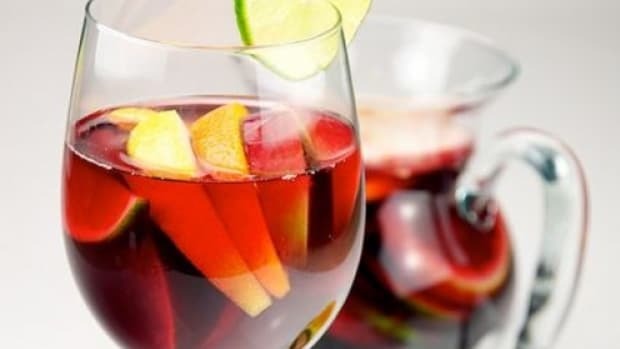 Sangria is a fruity wine punch that’s usually associated with sunny afternoons, Spanish restaurants and summer parties. 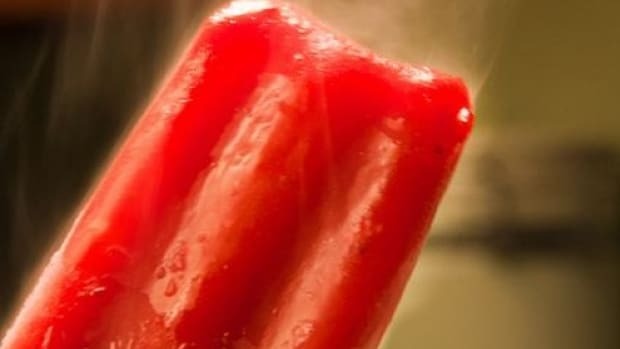 But just because the temperatures are dropping doesn&apos;t mean you must eschew this popular drink. 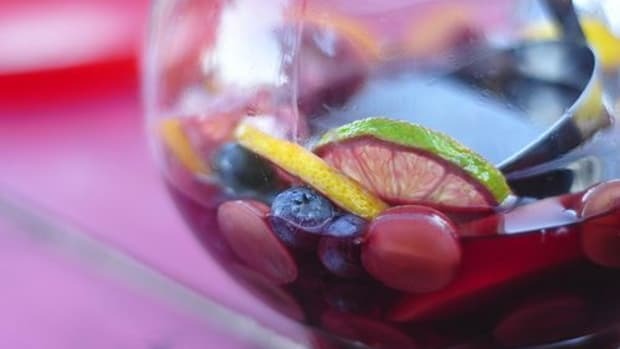 Turn it into a warm winter beverage with this simmered sangria recipe, and you can enjoy your favorite beverage year-round. Spicy simmered wines are extremely popular in Europe. You’ll find steaming cups of mulled wine served at Christmas markets throughout Germany, at winter theme parks in Scandinavia and in the main square of Prague. First served hot in ancient Rome, spiced wine quickly traveled up the rivers and spread north across the continent. 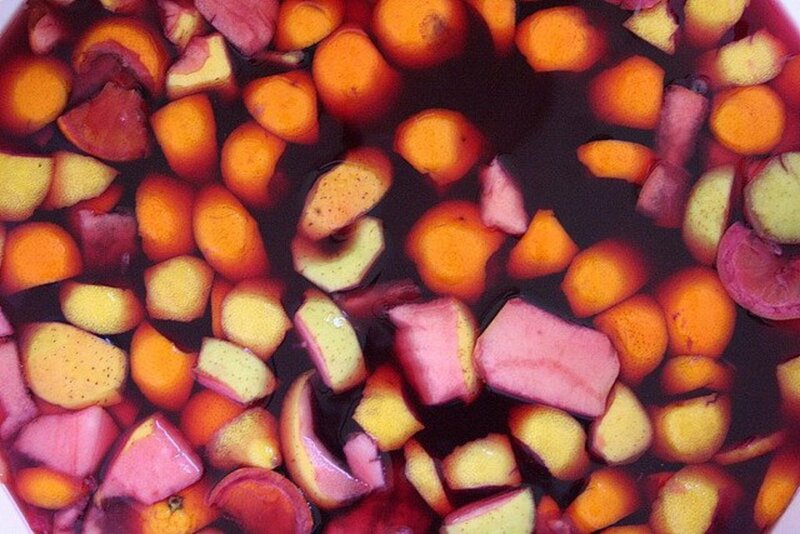 Whether you call it glühwein, glögg or spicy simmered sangria, this tasty hot sangria recipe is the perfect antidote to a cold winter day. 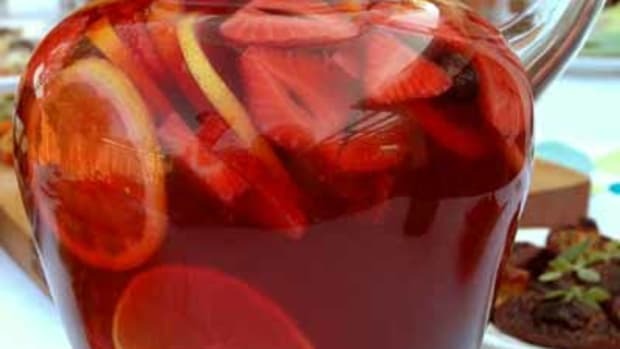 Easy to make and easier to drink, spicy sangria is a perfect for holiday parties and family get-togethers. 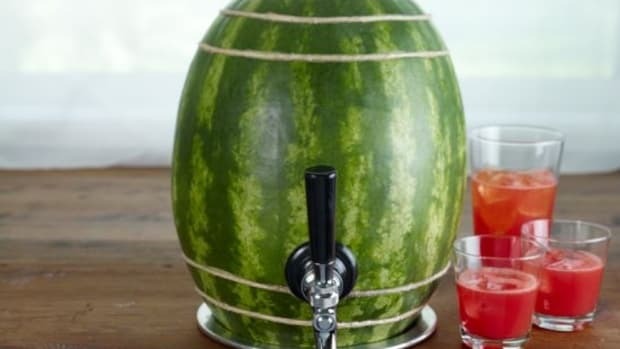 You can also make this sangria recipe ahead of time and keep a pitcher in the fridge. Just heat and pour when it&apos;s time to get festive. And remember, buy fresh, organic ingredients whenever possible, but don’t spend too much on the wine since many of its nuances will be lost when heated. 1. Bring all the ingredients except for the wine, brandy (or orange liqueur) and cinnamon sticks to a boil on the stove. 2. Let simmer for 7-9 minutes, stirring until the sugar is dissolved. 3. Slowly add the bottle of wine and brandy (or orange liqueur). Heat until hot but not boiling. 4. Ladle the mixture teacups or coffee mugs, making sure each serving has a slice of orange but leaving the whole spices behind in the pot. You may want to use a fine-mesh sieve to make the process easier, or put all the spices in a cheesecloth bag before you begin for quick removal. 5. Garnish each serving with a stick of cinnamon for stirring and enjoy! Like your life a little spicier than most? Add a dash or two of cayenne pepper to the punch to really heat things up. 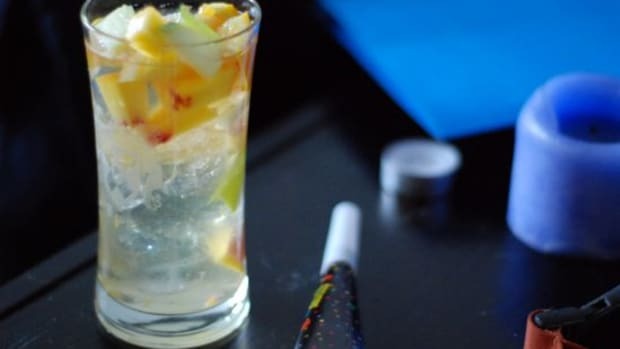 Add lemon slices for a more colorful sangria, or use them instead of oranges. You can also add slices of Granny Smith apple. For a prettier presentation, stick the whole cloves into your orange slices. You can also top each cinnamon stick with a cherry for a festive holiday look. No pomegranate juice? 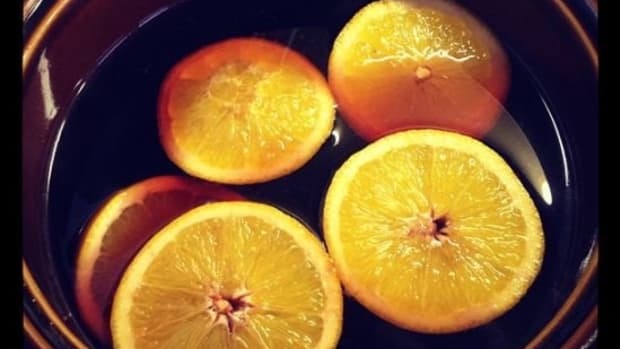 Use orange juice, apple juice or apple cider for a slightly different flavor. No dried cherries? Try dried cranberries or raisins instead. 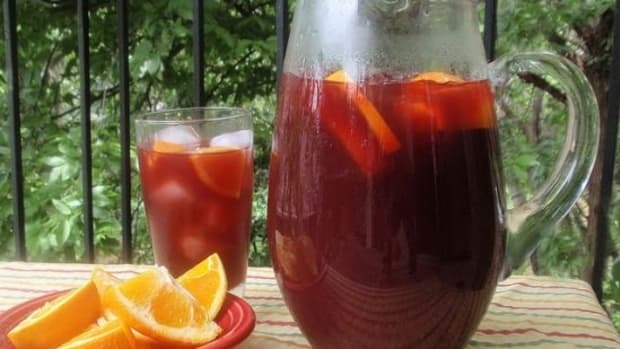 Use maple syrup instead of sugar to create the Canadian-style sangria.